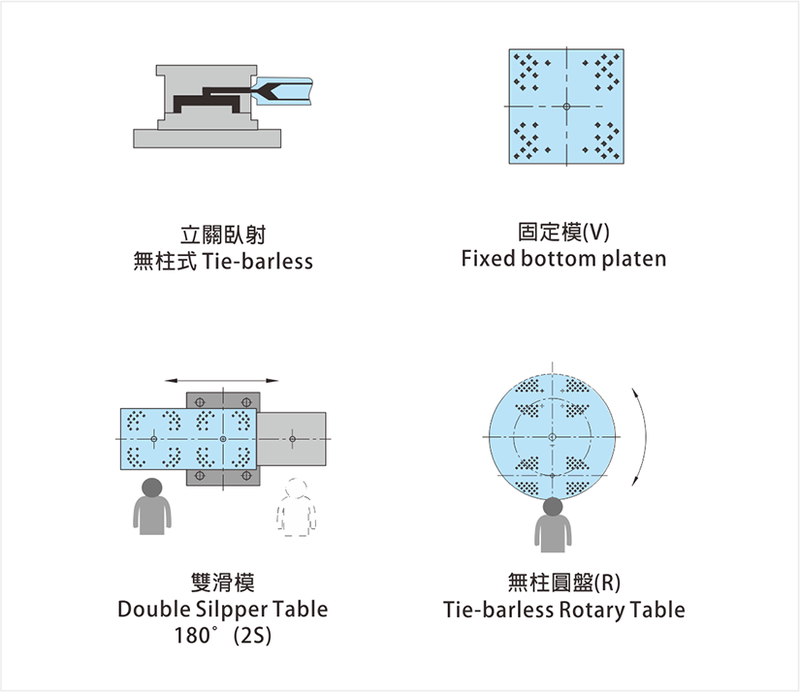 Vertical clamping, without machine column design, the mechanical constitutive property is strong, Injection powerfully, suit large-scale embedment to take shape the processing. Three-sides open space, easier operation for embedded parts and finished products, and able to combine automation connecting planning. 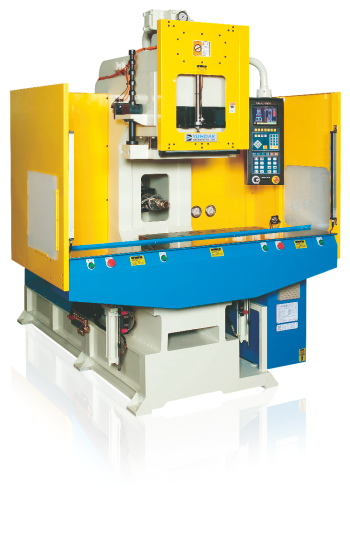 The height of operating surface is ergonomic, and the height of the machine is low. The operating environment can have more additional space to use. Variety of logic design complies with the customer’s requirement.